Eleanor Oliphant at 30 years-old is completely fine. She has a steady job as an accountant, food, a roof over her head, and a bed to sleep in. All her physical needs are met. Her carefully structured life and routine wants for nothing… except love, warmth and friendship. Eleanor isn’t your cookie-cutter heroine. She is socially awkward with a staunch belief that it is others who lack an understanding of following social cues leaving her friendless. She has a mother whose biting and remorseless words leave her with a life without love. But she is perfectly content. And why wouldn’t she be when she hasn’t known anything different? It is the arrival of her new co-worker, Raymond, which sets the wheels in motion to gradually show Eleanor an entire world she has been missing out on. Through her developing friendship with Raymond, she discovers a whole host of new friends and companionship. At the same time, Eleanor sets her sight on an aspiring musician called Johnny Lomond leading Eleanor to take a vested interest in love, romance and her very own physical appearance. Through her relationships with both these men, one imagined and the other real, her entire world is opened up to a possibility of a different and better life in which she experiences the full spectrum of emotions as well as finally examining and coming to terms with old buried secrets. 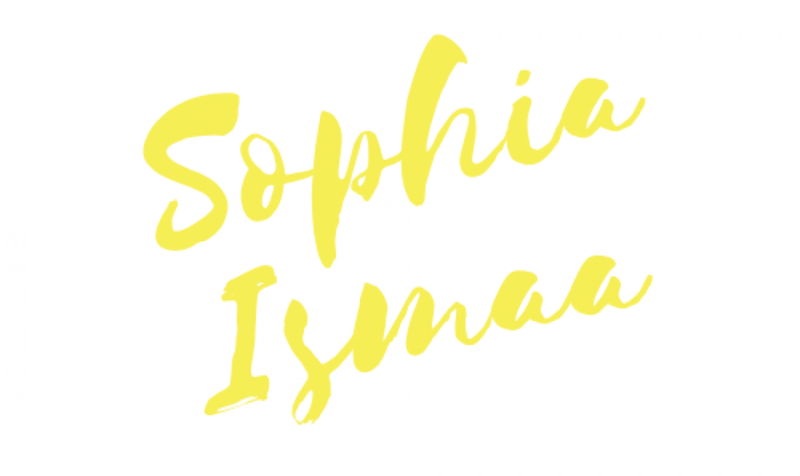 Eleanor Oliphant is definitely not fine… but she is learning how to be happy. I loved this book! Though I gave it a good 3.8 stars, it was a thoroughly enjoyable ride. Eleanor is so awkward, strange and blunt but… reader, I loved her. Despite her social awkwardness and mishaps wherein she is downright bullied by her co-workers for daring to be confidently different, she is essentially a good person. Though blunt, she is not mean-spirited and when she does display these qualities, she re-evaluates the way she thinks towards the end. The story is well thought-out and the themes develop as Eleanor develops. The few drawbacks were the ‘nice guy’ narrative that was pushed onto the reader by a female writer which was highly frustrating, and the plot was fairly stagnant half-way through the book. In large part, this is owed to the first person writing style as Eleanor is forthright which means the writing did not always flow. However, as this is a character-driven story, anything other than a first person narrative would not have packed quite a punch. Eleanor’s mother is the looming figure throughout the novel. Her conversations with her mother will leave you gobsmacked, disturbed and distressed and wanting to give Eleanor a hug. Further to this, there was something off about the phone conversations but the more you learn about their relationship and her mother from the glimpses provided, the more you catch on, albeit slowly, that something isn’t adding up. As Eleanor’s mental health deteriorates after her fantasies and dreams come crashing down, as I knew the latter aspect would, she finds herself in an unexpected and unwanted situation which forces her to confront her relationship with her mother and the demons that have haunted her since childhood. The big reveal at the end was absolutely shocking but, in a way, you’ll kick yourself for having not read between the lines. Raymond is the classic good guy. He is warm, big-hearted, realistic and spontaneous. Eleanor dismisses him from the start, but they keep gravitating towards each other that leads to a will they/won’t they conundrum for the reader. As you’ve all seen from real life, you often see couples like this and their friendship feels completely natural and nothing is forced. Now, I was perfectly fine with all this but what frustrated me to my core was the ‘nice guy’ narrative forced on to the reader. This was completely unexpected, and I found it difficult to absorb that a female writer would try to push this agenda. Raymond is a self-proclaimed ‘nice guy.’ Him and his partner had broken up because she considered him to be ‘too nice.’ Raymond asks Eleanor if he was supposed to beat her and be violent towards his ex-partner? Both he and Gail Honeyman have completely missed the point. And, of course, he is not supposed to beat her, what kind of idiot would even suggest this? If a woman isn’t attracted to her partner any longer, she is not obligated to continue the relationship even if it is on the grounds of said partner being ‘too nice.’ If a woman isn’t attracted to someone who is ‘too nice’ then that is her preference. His response being ‘should I beat her?’ clearly shows that she had made the right decision. Of course, Raymond isn’t going to beat her as he is essentially a good guy, but it is worrying that he thinks she meant for him to do the complete opposite as opposed to saying “Well, this is me. This is who I am. Perhaps we are simply not right for each other,” and then moved on. At one point when Eleanor is make-up free, Raymond comments that “she looks better without it.” I understand that this is a nice sentiment, but too many of us women have had the misfortune of creeps telling us this, it’s almost dictatorial. Needless to say, I am seriously appalled that a female author would attempt to perpetuate the “nice guys finish last” narrative. Complaints aside, this is a lovely book about the loneliness of loneliness, discovering love and friendship and the importance of fully experiencing all of your emotions. I would go so far as to call it a coming-of-age novel with all the wonderful complexities, depth and harshness that is often missing in YA novels. It’s a whirlwind of a ride with an incredibly satisfying and heart-warming ending, and I would definitely recommend it to anyone who is coming of age be it in your adolescence, adulthood or mid-life. And to anyone who is experiencing loneliness because of their social awkwardness. If you missed it, I recently wrote a post explaining the dangers of the ‘nice guy’ narrative which you can read here. Otherwise, PSA to my female readers, stay away from guys who are self-proclaimed ‘nice guys.’ The genuinely good guys, in real life, will never describe themselves as nice. 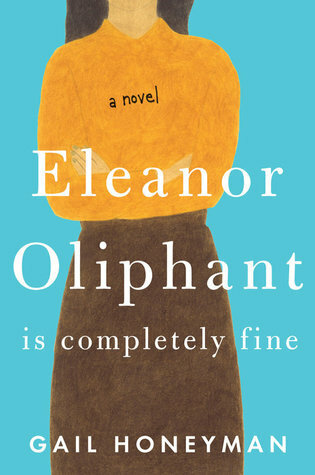 Have you read Eleanor Oliphant is Completely Fine or are you planning to? How would you, honestly, have treated Eleanor? Do you believe social awkwardness and self-sufficiency to a fault is the work of nature or nurture? Would you happily take on a life of solitude? Why am I relating to Eleanor so hard?? I really want to read this book but do I really want to read a book about me? “Nice guys won’t ever describe themselves that way”. Very true! Their actions will speak for themselves! Buy books instead of borrowing from the library? What is this madness??? Yep, when has a genuinely good and righteous man ever called themselves that? Paha, you do what’s right for you, but if you’re ordering from the library, it took a month/months for this to arrive, so if it’s busy in the UK, it sure as hell will be a longer wait in the US. Nice review. You do them well. So much of what Eleanor thought and said that was supposed to be “inappropriate” totally things I’ve thought before! Also excellent point about the nice guy narrative. It kind of flies under the radar for me sometimes. The emotional punch for me in this book was the ending. Glad you enjoyed it! Oh gosh, lol, you too? 😂 Her thoughts and words were really inappropriate but she’s still wonderfully endearing. You just can’t help but love her! It was only in brief parts, so you have nothing to worry about, it would’ve been easy to miss… I just had my Feminist X-100 Shades on lol. I remember that adolescence and awkward feeling. I was okay at school but when I was home I would go for “one of my walks” which meant I would wonder off into the woods and cry. It’s odd. I could take on an angry bull or face down down a bear in the woods but I couldn’t be comfortable in public. Especially public speaking. Now I earn my living by talking to strangers on the phone. Physical strength is a completely different arena to socialising, it requires a different set of skills… the former is physical and the latter emotional intelligence. You work in customer service, right? I feel like it’s completely different to sales. I think even if somebody is socially awkward, customer service is a workable field whereas with sales, yes you can be awkward, but you have to have charm and likability which isn’t required in customer service. But I’ve seen quite a few people with social anxiety who are so darn likeable and fun to talk to and it’s all down to whether you know how to play the game of socialising. But otherwise, we’re all social creatures at the end of the day, so even the most introverted needs a little company here and then. I was speaking more of the emotional side. It was easy to overcome the fear of being trampled by a bull or face down down a bear ( they usually run unless it’s a mother with cubs. Then you’ve messed up for the last time) but I’m still kinda awkward in person. I can do my job because I can’t see the people I have to talk to. I thought this book was YA! I’m really relating with Eleanor with all her social awkwardness. And I loved how you “wrote reader, I loved her”, you know like Jane used to say! I hate this whole ‘too nice guy’ thing that authors try to shove it down the reader’s throat. Just wait till you read the A Court of Mist and Fury, that is if you continue the series. He really made that comment?! What? Are you supposed to beat your (ex)partner if they’re not attracted to you any more?! Men or women? Oh no, no, if it was YA, the chapters would have been 2 pages not allowing anyone to really get a full picture of the MC *sigh* I think you’ll love her! Actually, at this point I think everyone will love her. She’s awkward but at the same time, I also think that I would feel very comfortable around her. Nice is a crap word as well, a person should have other traits apart from niceness anyway, right? What about righteousness, courage and honesty? Those are far better traits. Time is precious and it is not to be wasted on crap like that series.